Cal men’s basketball has already made strides in the recruiting department to bounce back from one of the worst seasons in program history, and more help may be on the way. 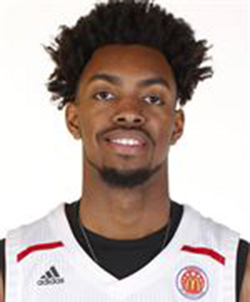 According to 247Sports’ Evan Daniels, five-star prospect Jordan Brown has Cal, Arizona and Nevada in his top three, with other unnamed schools in the mix as well. On paper, the current crop of incoming and returning talent may be enough to drag the Bears out of the Pac-12’s basement, but the addition of Brown could potentially skyrocket Cal to the top of the conference standings. 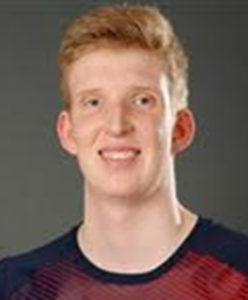 The big man out of Napa wouldn’t just provide Cal with the star it needs to turn the program around but would also address the team’s frontcourt. Currently, head coach Wyking Jones’ frontcourt options are rising freshmen Connor Vanover and Andre Kelly, as well as rising sophomores Justice Sueing and Grant Anticevich, and throwing Brown into the mix would refine an already improved bench. A hypothetical lineup of Brown, Sueing, Paris Austin, Darius McNeill and Juhwan Harris-Dyson with Anticevich, Roman Davis, Deschon Winston, Jacobi Gordon, Matt Bradley and Kelly appears to be enough to make Cal, at minimum, a mid-tier team in the Pac-12. Signing Brown wouldn’t just be the cherry on top of a solid group of incoming freshmen, but it would also be an opportunity for Cal to swipe a prospect from the clutches of conference rival Arizona. Arizona isn’t in completely dire straits, having signed four-star prospect Devonaire Doutrive and receiving a hard commit from fellow four-star Omar Thielemans, but the program is still suffering the aftershock of the Sean Miller incident. 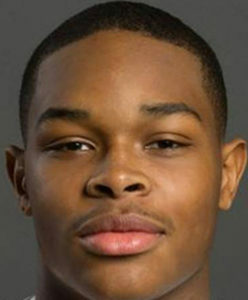 In the week after the Miller fiasco, four-star prospects Brandon Williams and Shareef O’Neal decommitted from Arizona. Five-star prospect Jahvon Quinerly also decommitted, but his decision came in October 2017. A recruiting class of Williams, O’Neal and Quinerly would give Arizona the fourth-best recruiting class in the Pac-12, but the program currently sits in the No. 9 spot. 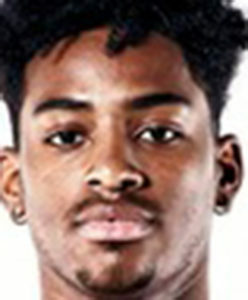 Should Williams, who is still showing interest despite his decommitment, recommit to Arizona, the program would have the fifth-best recruiting class in the conference. Of Brown’s top three options, Nevada currently has the best opportunity to make another deep run in the postseason if it can retain its core. Caleb Martin, Cody Martin and Jordan Caroline all declared for the 2018 NBA draft, but because none of them signed an agent, they retain their eligibility in the event that they go undrafted. NBADraft.net projects that both of the Martin twins will be selected in the second round, but Tankathon does not project that any of the three players will have their name called. The Wolf Pack will miss the contributions of the recently graduated sharpshooter Kendall Stephens, who averaged 13.1 points per game, but the potential addition of Brown to Nevada’s current core makes it a threat to take the top of the Mountain West Conference.